59 and over 60 years. There also is a wheelchair category. $400, second $300 and third $ 200.
women who finish and shirts given to each participant. the race pavilion. More information is available by calling 661-614-1454 in Puerto Nuevo, 661-612-0396 in Rosarito or emailing promoter@rosarito.org From the U.S. people can phone 1-800-962-BAJA. Management of the event is provided the State Association of Athletics of Baja California and the event is endorsed by the Mexican Federation of Athletics. "This event is a tradition in Rosarito and people are excited about another great event with a large of number of participants," said Gerardo Medina, president of the State Association of Athletics. Mexico Living Home Show will showcase over 100 exhibitors and over 20 expert speakers on November 14th, at La Ventana del Mar in San Felipe Baja California, from 10AM - 5PM. If you plan to live, work, play or invest anywhere in Baja California or Sonora Mexico - You must be a part of this event. No matter what you're looking for, you'll find it at the Home Show. Browse the many business and community exhibitions, meet experts across a broad range of professions. Listen to the many educational and entertaining speakers throughout the day, great food, full bar, cold cervesa and much more. Spend a beautiful day at La Ventana del Mar Resort in San Felipe Baja and start Living the Good Life. Home Show entrance is only $50 pesos/$5 dollars. For additional information please visit www.mexicolivinghomeshow.com. Every year, Mexico Living gives it's readers an opportunity to show their appreciation for the people and businesses they feel are the VERY BEST Baja California and Sonora have to offer. If you want to let those you appreciate know it and start voting. If you think you're the best, get out and campaign get the vote. The Best of Voting deadline has been extended until FRIDAY DECEMBER 4th 2009. Vote for as many categories as you wish, please only vote once per category. 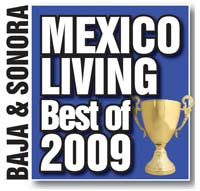 The results will appear in the JANUARY 2010 Edition of Mexico Living. 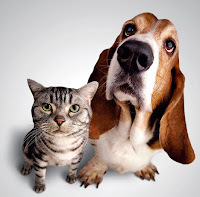 There will be a spay/neuter clinic on Nov. 2nd and 3rd. This is the clinic that was to be held on the 9th and 10th; however, it had to be changed to the 2nd and 3rd. Animals can be registered after 7:00 A.M. Two to three volunteers will be needed for the two days to doggie sit post surgeries and we will need someone to help wash instruments and get packs ready for the sterilizer. Volunteers may call the clinic, Misty or Linda (135-1747). Augie's 4th Annual Halloween Party Sat. Oct. 31st 6PM until the end. As always free food, FREE food Happy Hour all night. Come in costume for a FREE Drink. Prizes for BEST COSTUME. Let's Party 613-135-1224. Submit your news, event or comment. Denny Flannigan's 5th Annual Halloween Party with Chef Jesus Camargo's Fabulous buffet at Latin Garden, Sat. Oct 31st, from 6PM - 10PM. A FREE Cervasa to everyone in costume. Cover price is $15.00 US, or 200 Pesos. Buffet 7PM - 9PM Well Drinks $3.00 US, Cervasa $1.50 and Prizes, Prizes, Prizes in 5 Categories; Top Couple, Scariest Male, Scariest Female, Funniest Male & Sexiest Female. Tickets available, Call Sandi Flannigan in San Felipe at 686-576-1683 or Steff 686-209-6369. Del Borracho will start their daily specials today. Cholie is hot on the grill so come and check it out! Beginning November 1, 2009 Alaska Air will be using Horizon Air only for air travel into Loreto. Horizon Air has smaller planes but they will still come into Loreto four times per week (Sunday, Tuesday, Thursday and Friday). Here is a link to find out about the BORDER'S REGULATIONS. Dogman says, "San Felipe Animals Win the Lottery"
If you are reading this email, then it must be after 2pm, on Tuesday, October 13th, because that's when we closed the land deal on the new ZAPP Animal Care Center. The NEW Center is 7.5 acres, or 3 hectares, in Mexican speak, and is located in San Felipe; just two miles off the highway going south toward town. We will open the NEW facility for animal business in early November, and I'm so excited, I could just "plotz!" With the help of an anonymous donor from California, who himself has been providing care and solace to dogs, cats, birds, horses, ducks and pigs for more than 30 years, ZAPP is so honored and humbled that this man chose us to expand his vision by opening this satellite location in San Felipe. that improves their quality of life. In addition to being a shelter and rescue, ZAPP will also continue its spay/neuter program in San Felipe. The Center will also be a rehabilitation and adoption facility, for puppies, kittens, and special needs animals. Assisted living kennels for geriatric animals that are less adoptable will also be part of our Center. Initially, many of these older animals may be transported to our sister sanctuary in California. ZAPP is a "no-kill" facility, and unless circumstances are dire, we will adhere to that policy. The ZAPP Animal Care Center will also provide Board and Care services for local travelers; and, can you believe it, grooming services, too. And although a "lofty" goal, we will do everything possible to have 24 hour urgent care services. We are also committed to holding workshops and classes on-site for students in our community, in an effort to teach everything we can about humane animal treatment and population control. monthly donations and local fundraising events. Here are some numbers that illustrate what it costs ZAPP each month to spay and neuter 100 dogs and cats at $30 per animal. ZAPP currently has 91 monthly subscribers in our ZAPP Financial Friends Program. The cost of spaying and neutering 100 animals a month is $3000. The cost of producing each individual clinic is about $200, including advertising. The total amount of all monthly donations thru the Financial Friends Program is currently $1185. who live on fixed incomes. Please Become a Member of our Monthly Financial Friends Program or make a one-time Donation. Registration for our two week session of spanish classes in the ejido. An address was not available, however if heading south on highway 5, turn right at the north end of the rock wall near Playa Blanca near at kilometer marker 183. The house is at the end of the third block on the right. You will pass the building supply owned by Abram on the right and her house is in the next block on the right. The house is surrounded by a wall and the gate will be open. There is some parking inside the wall and along the street. If you are not familiar with the area, please e-mail me and i will try to help you. Purchasing real estate in Mexico is a lot like buying it in the US or Canada – you find a property you like, enlist the help of some professionals, do your due diligence, arrange financing, sign some paperwork, and enjoy your new property. Mexico has become a popular place to retire to or to own a vacation home. And, yes, foreigners can own property in Mexico, even on the coasts. Hundreds of thousands of foreigners have successfully purchased real estate in Mexico. Mexican real estate can offer good value for your money, especially with favorable exchange rates. And the cost of living is substantially lower here. Three years ago, I bought a vacant lot in beautiful beachfront San Carlos and began building, and one year later I moved into my dream house. I fell in love with Mexico after enjoying several vacations here. The warm weather, friendly people, food, language, vibrant culture, the interesting and fun things to do – all drew me here. But the question was: where should I live within this huge enticing country? Many locations were appealing to me, with Playa del Carmen topping the list. But after one visit, I quickly decided on San Carlos, Sonora. It’s beautiful here. And, if you like outdoor activities, you’ll never be bored. There are endless opportunities for snorkeling, scuba diving, hiking, biking, sailing, fishing, golfing -- there’s even a pick-up game of softball twice a week. I also like that it’s an easy drive to many interesting vacation destinations. Arizona is only a four hour drive north of here, and Mazatlan is eight hours south. There are many factors you should consider when choosing a town, such as location, local infrastructure (roads, airport, water supply and electricity), and local amenities (medical services, mailing services, construction and rental services, churches, etc). There are several books available that discuss the pros and cons of numerous Mexican towns. When I was looking, I read “Live Better South of the Border in Mexico” by Mike Nelson and “Choose Mexico” by John Howells and Don Merwin. Both books are excellent resources, and I highly recommend them. At this point you will also have to decide whether to build on a vacant lot or to buy a finished house (the pros and cons of building from scratch are beyond the scope of this article). A realtor can not only help you find a building lot or a house, but can also answer questions about amenities and help you get settled in your new community. When selecting a realtor, make sure that the agent is licensed and is a member of AMPI (the Mexican Association of Real Estate Professionals). All realtors in Sonora must complete a course of studies prior to applying for a real estate license, and must be registered with the state of Sonora. Once you’ve found a property you like, you will enter into an agreement to buy, which will specify costs, closing date, etc. You will also pay a deposit, which is usually 5-10% of the purchase price. Ensuring that the developer's permits are in order, if you are buying from a developer. Obtaining and reviewing the Land / Property Deed from the seller to make sure that the property has a 'clean' history. Arranging for an official appraisal of the Land (Avaluo). Ensuring that there are no liens on the land (e.g. an unpaid mortgage). Under Mexican Law, liens are passed on with title of the land -- buyer beware! Title insurance is not required when making a real estate purchase in Mexico, but if it interests you, it is now available. Title insurance protects you should the property you buy subsequently turn out to have liens on it. Ask your realtor about what title insurance is available in your area. Checking that all land taxes and utilities (electric, gas, water and phone, HOA fees) have been paid. Checking that structures have the required building permits. You will need to provide your realtor and notary public with certain official documents, including photo ID (such as a passport), birth certificate, marriage license (if applicable), and your visa (Tourist Visa, FM3). Mexican law provides for private ownership of land by foreigners. However, if your property is within the 100 km border zone or 50 km coastal zone, there are ownership restrictions. If your property is within these restricted zones, as mine is, you can own land through a fideicomiso (a trust) which is set up through a bank. Your realtor will work with the bank to establish your trust. Title to the property will be transferred to the trust. 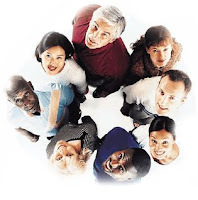 A Mexican bank of your choice will act as trustee and you, as purchaser, will be designated the beneficiary. The bank follows your instructions and acts only for your benefit. As beneficiary, you will have the use and control of the property and will make all decisions concerning the property. You will have all the rights of ownership, including the right to sell, rent, lease, mortgage and develop your property. You can also pass the property on to your heirs. The trust is renewable for an indefinite number of successive 50 year periods. The trust is formalized by the issuance of a permit from the Mexican Ministry of Foreign Affairs. And your rights as beneficiary will be recorded in the public record. The bank charges an initial fee for establishing the trust and an annual fee based on the value of the property. Recently, a couple of Mexican Senators have argued that current international economic and political conditions favor removing ownership restrictions, and have introduced legislation to that effect. It remains to be seen whether restrictions on foreigners from directly acquiring property on Mexico’s coasts and the resulting requirement for a fideicomiso will be eliminated. At this point in the transaction, you should have your financing in order. Financing is now available in Mexico and several big name players from the US have entered the marketplace. These US-based mortgage companies offer US dollar denominated products. Mexican banks have also begun to offer mortgages, but a significant down payment is required and interest rates are higher than in the US or Canada. Your realtor should be able to help you connect with the financial institutions that are offering mortgage financing in your area. 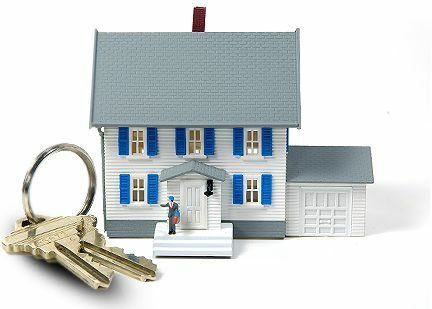 With your due diligence done, and your trust, financing and title insurance in place, you are now ready for the closing. This will take place at the notary public's office, where you will sign the deed and make the final payment. This is also when you will pay the notary public's fees and any other outstanding closing costs. With the documents signed and these payments made, all you now need to do is enjoy your new property and plan the Open House party! In addition to offering a warm atmosphere for the expat community for many years, Cha Cha of Cha Cha's Cafe has been busy partnering with Baja Medix on the project of Casa El Jardín (Garden Home), an assisted living community home located in Rosarito. With Cha Cha’s experience of over 25 years in-home health care services and the Baja Medix team of doctors, they now offer an assisted living alternative for the Rosarito community. Membership includes an in-home personal pre-assessment, with a brief medical history and vital emergency information gathering. Private home care includes caring for a loved one at home, which often requires specialized training as well as assistance with daily living activities such as light housekeeping and meal preparation. Each of their caregivers is a professional and is carefully screened to meet high standards of compassion, quality and integrity. At the Casa del Jardín assisted living community home, they provide residents with 24-hour a day caregivers, on-call physicians, meals, hygiene, medical supervision, mobility and rehabilitation, companionship, activities and outings, transportation and day-care/respite-care services. The Garden Home is located north of Rosarito, five blocks west of Walmart on Calle Emiliano Zapata #600 of the Colonia Reforma. You can phone (661) 612-4595 or contact Hector Camacho (664) 206-1192, or leave Cha Cha a message at (949) 274-9899 (USA). She will return your call within 24 hours. For more information you can also visit www.incarebaja.com.